Can a felon get an Engineering License in Florida? 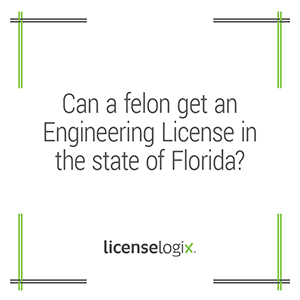 While a felon is not barred from obtaining a Florida Engineering License, additional information or requirements may be requested upon receipt of your application. The Board of Professional Engineers would make this type of decision on a case-by-case basis. If you would like LicenseLogix to assist you in filing an application, please contact us now to get started!